Performers are called voice actors or actresses, voice artists or voice talent. Their roles may also involve singing, although a second voice actor is sometimes cast as the character's singing voice. Voice acting is recognised in Britain as a specialized dramatic profession, chiefly owing to the BBC's long tradition of radio drama. 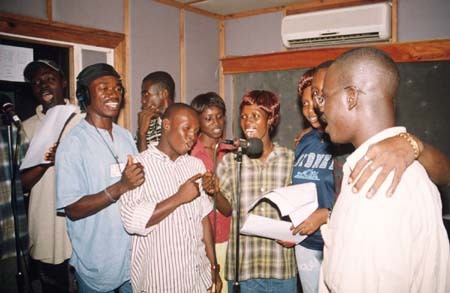 The voices for animated characters are provided by voice actors. For live action productions, voice acting often involves reading the parts of computer programs, radio dispatchers, or other characters who never actually appear on screen. 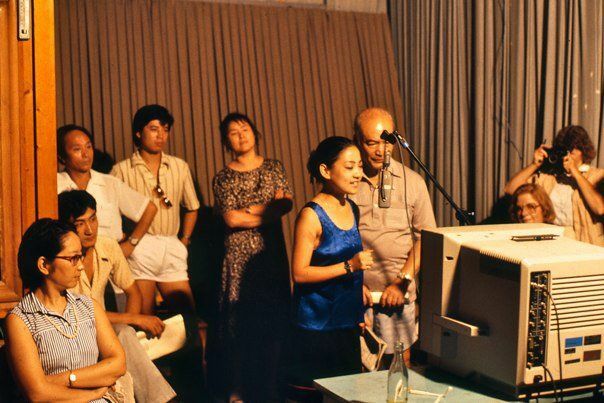 With a radio drama or Compact Disc drama, there is more freedom in voice acting, because there is no need to match a dub to the original actors, or to match an animated character. Producers and agencies are on the look out for many styles of voices such as booming voices, which maybe perfect for more dramatic productions or cute, young sounding voices that are perfect for trendier markets. Some just sound like regular, natural, everyday people and all of these voices have their place in the Voiceover world, provided they are used correctly and in the right context. In the context of voice acting, narration is the use of spoken commentary to convey a story to an audience. A narrator is a personal character or a non-personal voice that the creator of the story develops to deliver information to the audience, particularly about the plot. The voice actor who plays the narrator is responsible for performing the scripted lines assigned to the narrator. One of the most common uses for voice acting is within commercial advertising. The voice actor is hired to voice a message associated with the advertisement. This has different subgenres; television, radio, cinema, and web-advertising. The subgenres are all different styles in their own right. For example, television commercials tend to be voiced with a narrow, flat inflection pattern (or prosody pattern), whereas radio (especially local radio) commercials tend to be voiced with a very wide inflection pattern in an almost over-the-top style. Markerters and advertisers use voiceover all over their projects, from radio, to TV, to online and more! Total advertising spend in the UK is forecast to be £21.8 billion in 2017. Voiceover used in commercial adverts also is the only area of voice acting where de-breathing is used. De-breathing means artificially removing breaths from the recorded voice. This is done to stop the audience being distracted in any way from the commercial message that is being put across. Dub localization is a type of voice-over. It is the practice of voice-over translation altering a foreign language film, art film or television series by voice actors. Voice-over translation is an audiovisual translation technique, in which, unlike in Dub localization, actor voices are recorded over the original audio track, which can be heard in the background. This method of translation is most often used in documentaries and news reports to translate words of foreign-language interviewees. Voice artists are also used to record the individual sample fragments played back by a computer in an automated announcement. At its simplest, each recording consists of a short phrase which is played back when necessary, e.g. the "Mind the gap" announcement introduced by London Underground in 1969. In a more complicated system, such as a speaking clock, the announcement is re-assembled from fragments such as "minutes past" "eighteen" and "p.m." For example, the word "twelve" can be used for both "Twelve O'Clock" and "Six Twelve." Seiyū (声優, Seiyū?) occupations include performing roles in anime, audio dramas and video games, performing voice-overs for dubs of non-Japanese movies, and providing narration to documentaries and similar programs. Because the animation industry in Japan is so prolific, voice actors in Japan are able to have full-time careers as voice-over artists. Japanese voice actors are able to take greater charge of their careers than voice actors in other countries. Japan has approximately 130 voice acting schools and troupes of voice actors, who work for a specific broadcast company or talent agency. They often attract their own appreciators and fans, who watch shows specifically to hear their favorite actor or actress. Many Japanese voice actors frequently branch into music, often singing the opening or closing themes of shows in which their character stars, or become involved in non-animated side projects such as audio dramas (involving the same characters in new story lines) or image songs (songs sung in character that are not included in the anime but which further develop the character). From 1988 to 1994, the United Kingdom banned broadcasting of the voices of people linked to violence in Northern Ireland; television circumvented this using actors' voices synchronized to footage of prohibited people speaking. Although voice acting is criticized heavily in Brazil, most of the films in the theaters are dubbed in Portuguese, and most Brazilians prefer watching movies in their native language. Voice acting in Brazil has been highly acclaimed by other countries. Many voice actors are also dubbing directors, people that direct other voice actors, and translators. To become a voice actor in Brazil, you need to be a professional actor and attend dubbing courses. Celebrities in Brazil have done voice acting, although Brazilians generally do not like when celebrities who are not actors do voice acting. As Colombian Spanish is considered one of the most clear forms of Spanish , a great deal of Spanish language voice acting is in Colombia using local voice talent. Colombia voice over services are one of the most popular followed by synchronization and subtitling, according to Alexander Torrenegra . Template:Too many examples Across many of the main game-manufacturing countries, in the United States, Canada, the United Kingdom, and Japan, actors often lend their voices to characters in games and some have made a career of it. Their names have sometimes been linked to a particular character they have voiced. Among the many noted video-game voice actors are Maaya Sakamoto (the Japanese voice for the Final Fantasy XIII character Lightning), Tatsuhisa Suzuki (the voice of Noctis Lucis Caelum in Final Fantasy XV), Miyu Irino (the Japanese voice of Sora in the Kingdom Hearts series), Troy Baker (English Snow Villiers, Joel in The Last of Us), David Hayter (Solid Snake and Big Boss of the Metal Gear series), Steve Downes and Jen Taylor (Master Chief and Cortana from the Halo series), Nolan North (Nathan Drake from the Uncharted games and Desmond Miles from the Assassin's Creed game series), Charles Martinet (the voice of Mario, Luigi, Baby Mario, Baby Luigi, Wario, and Waluigi in Nintendo's Mario franchise), Liam O'Brien (the voice of Caius Ballad in Final Fantasy XIII-2 and War in Darksiders), and Jonell Elliot (the voice of Lara Croft from 1999-2003). Other actors more linked with the film, radio or television industry have also voiced video game characters. These actors include Mark Hamill (The Joker, Wolverine and the Watcher from Darksiders), Michael Dorn (various characters from World of Warcraft and Gatatog Uvenk from Mass Effect 2), Claudia Black (Chloe Frazer from the second and third entries in the Uncharted series, Morrigan from Dragon Age), Camilla Luddington (the voice of Lara Croft in 2013), Kristen Bell (Lucy Stillman in the first three mainline entries in the Assassin's Creed franchise), DB Cooper (BioShock 2, Grand Theft Auto series), and Ikue Ōtani (the voice of Pikachu). ^ "Soundstart - Acting for Radio". Archived from the original on 30 December 2016. http://www.bbc.co.uk/programmes/articles/2RSmkTlT319KR9yd9DmzBb6/acting-for-radio. Retrieved 16 January 2017. ^ How to be a voiceover in todays world "Archived copy". Archived from the original on 2017-09-18. https://thevoicefinder.com/todo/how-to-become-a-voice-artist/. Retrieved 2017-07-09. ^ "Narration in Poetry and Drama". The Living Handbook of Narratology. Interdisciplinary Center for Narratology, University of Hamburg. 2012. Archived from the original on 2015-02-18. http://www.lhn.uni-hamburg.de/article/narration-poetry-and-drama. ^ "Industry insights – The Voice Finder". Archived from the original on 19 October 2017. https://thevoicefinder.com/todo/industry-insight-and-tips/. Retrieved 8 May 2018. ^ "Debreath your Voiceovers the Human Way" (in en-GB). 2016-06-02. https://www.gravyforthebrain.com/gravytimes/commercial-voiceover-when-should-you-debreath/. ^ USA, Translate. "Voice-over Translation". Archived from the original on 31 December 2014. http://www.usatranslate.com/voice-over-translation-funny-way-of-translation/. Retrieved 31 December 2014. ^ Cowdog (2009). "ADR: Hollywood Dialogue Recording Secrets". Creative COW Magazine. Creative COW. Archived from the original on 15 August 2012. http://magazine.creativecow.net/article/adr-hollywood-dialogue-recording-secrets. Retrieved 30 July 2012. ^ Masters, Kim (31 January 2008). "The Dark Knight Without Heath Ledger: How will Warner Bros. sell a summer blockbuster marked by tragedy?". Slate. The Slate Group, LLC. Archived from the original on 20 June 2012. http://www.slate.com/articles/arts/hollywoodland/2008/01/the_dark_knight_without_heath_ledger.html. Retrieved 30 July 2012. ^ "Benefits of Phone Automation & phone patch". 27 March 2014. https://www.debbiegrattan.com/blog/benefits-of-voice-over-phone-patch/. ^ Williams, Rhys (16 September 1994). "Broadcasters welcome end to 'censorship'" (in en-GB). The Independent. https://www.independent.co.uk/news/uk/broadcasters-welcome-end-to-censorship-1449238.html.